AJ loves to play in the dog’s water bowl; it’s her favorite pastime right now! And while it’s cute to see how much she loves playing in water, I don’t really appreciate having water all over the floors, and I’m sure Fawkes doesn’t appreciate the baby’s grubby hands in her drinking water. So I decided to make a DIY water table out of one of the extra plastic storage tubs in the garage. 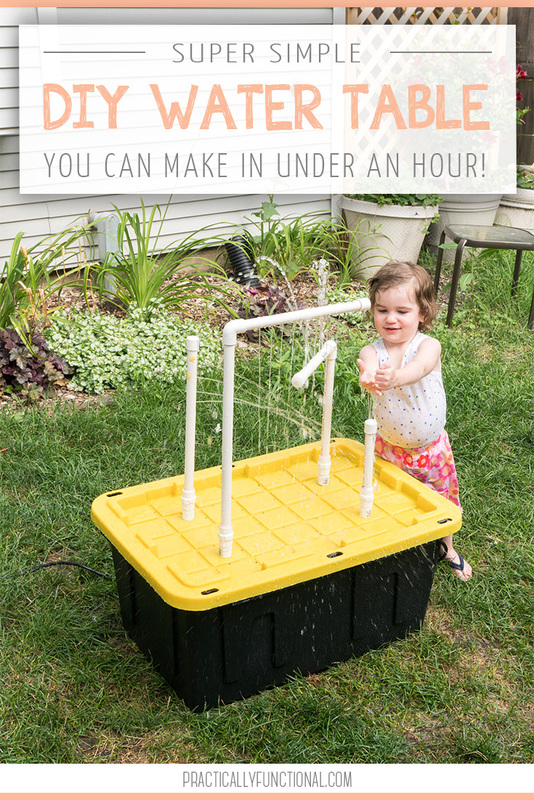 I bought a fountain pump and some PVC pipe, and I put together a fun water table with fountains and sprayers in under an hour! 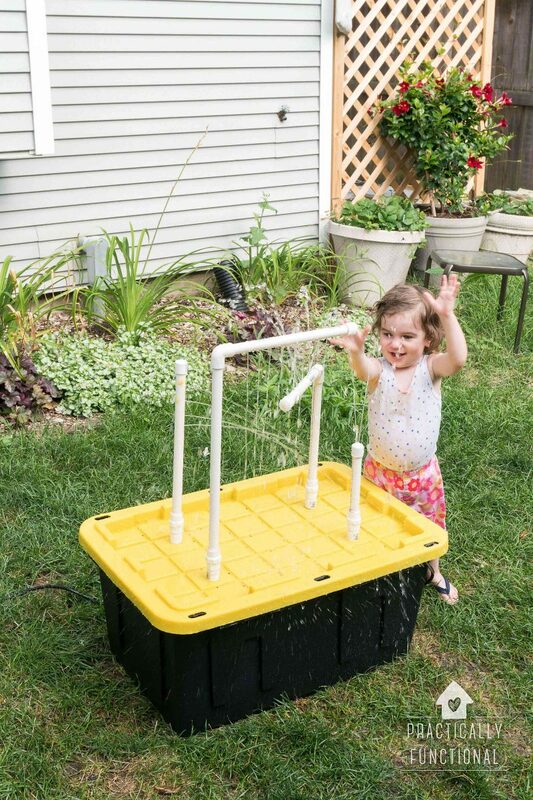 It’s really simple to make with a few parts from the hardware store, so if your baby loves playing in water, try making this for them! I decided to use PVC for this because it’s really easy to cut and drill holes in, and it’s really easy to find elbows, caps, tees, and any other connector piece you might need. (Want to see another awesome project I did using PVC pipe? Check out this DIY stroller handle extender!) 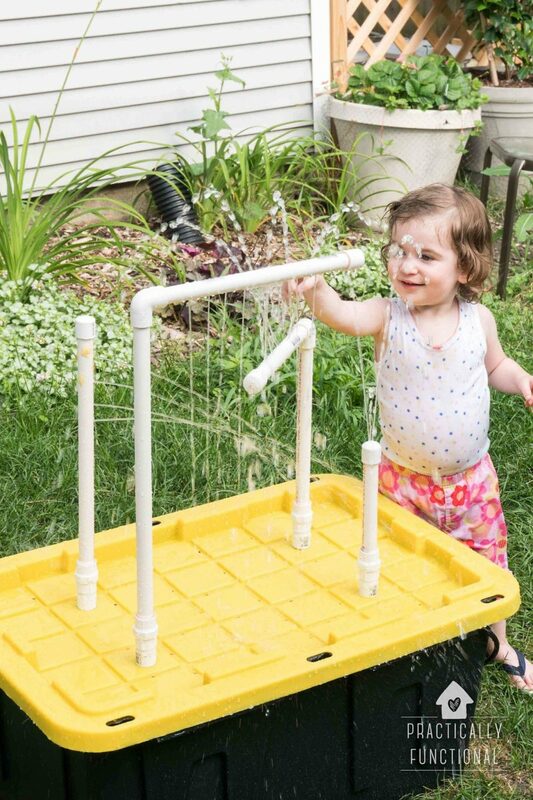 The beauty of this DIY water table is that you can completely customize the upper/sprayer pieces however you want! You could make a bunch of upper “arms” and easily switch them out and reconfigure them whenever you want so your kids never get tired of it! The following instructions will tell you how to build the table exactly the same way I did, with the dimensions I used. 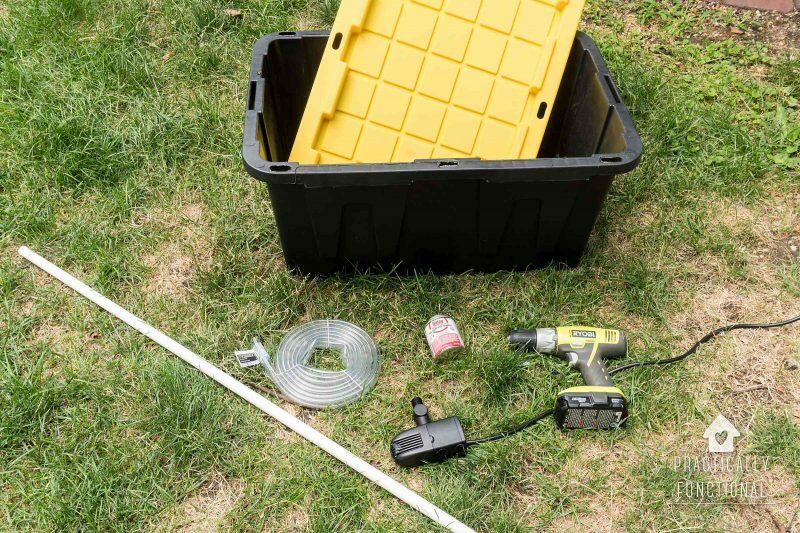 If you end up using a slightly different storage bin or different sized pipe, you may need to modify the dimensions slightly to make everything fit. The post is pretty long, but I learned a lot while making this table, and I want to share all of that with you so you can learn from my mistakes! 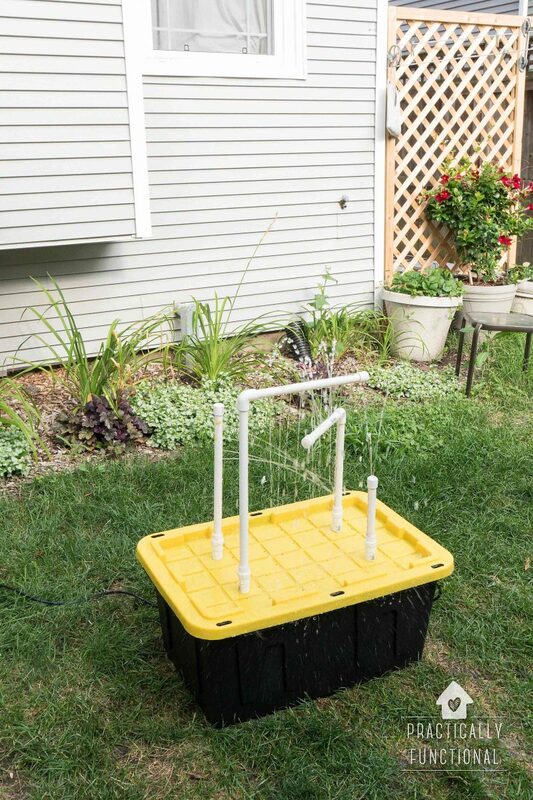 If you’re already a pro at building with PVC pipe and figuring out water pressure, feel free to just skim the post. 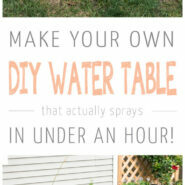 If you haven’t worked with PVC pipe before, I highly suggest you read the entire post; I share a ton of tips for working with PVC pipe and easy tricks for making sure the sprayers actually spray instead of just dribbling. 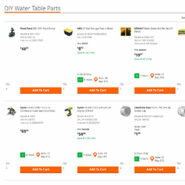 I went to Home Depot’s website and made a list of everything you need to make this DIY water table. I entered the correct quantities for this project, so just click the “Add To Cart” button below each item to add it to your cart and you’ll have all the parts you need! 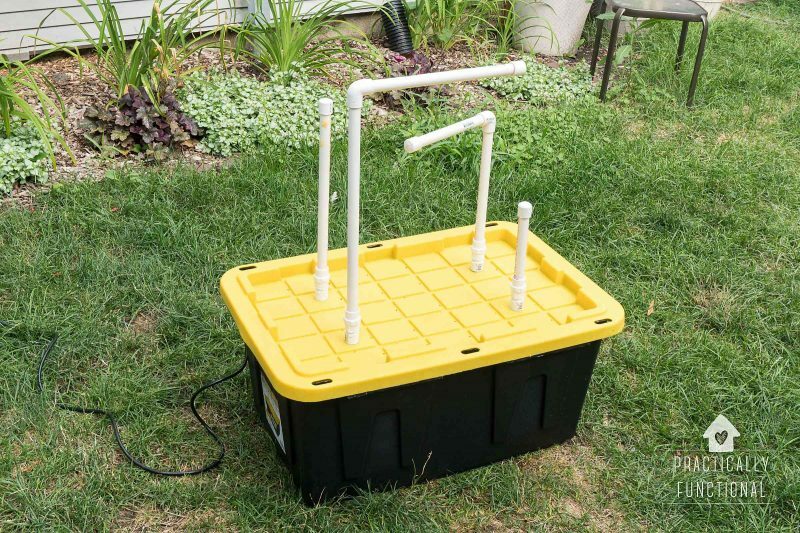 Click here to see the DIY water table parts list. 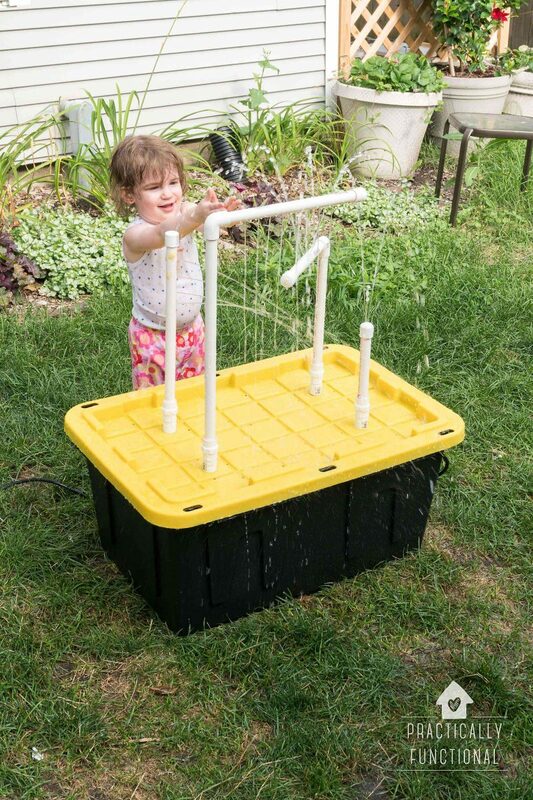 This DIY water table has three basic sections: the pump piece that goes inside the box, the four-way split that attaches to the underside of the lid, and the arms/sprayers that stick up out of the top of the lid. In order to get more than one stream of water coming out of the top of the water table, I built a four-way split out of PVC pipe to divert the water to four different pipes. 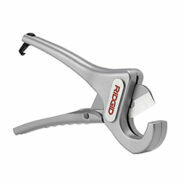 The four-way split is permanently attached to the underside of the lid, and the arms/sprayers screw into the four-way split from the top. 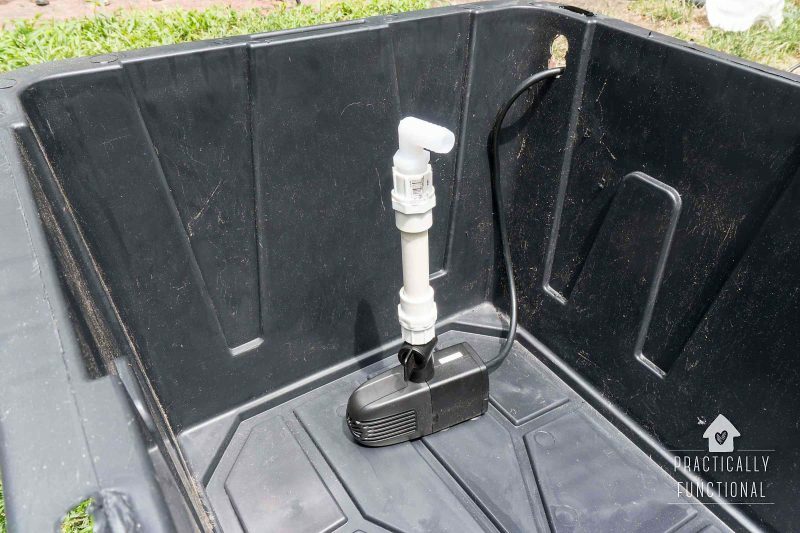 This way it’s easy to unscrew the arms and put them inside the tote with the pump piece, then close the lid so that you can store the water table more compactly when you’re not using it. The pump piece and four-way split all have a bunch of tiny pieces of PVC pipe connected by adapters. I used my chop saw to cut these pieces because it was easy to cut exactly 2” or 3” off the end of a 10’ pipe without worrying about my hands being in the way. 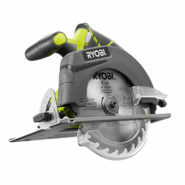 But if you don’t have a chop saw, you can use a circular saw, a hacksaw, or a PVC cutter to cut the PVC pipe; just be very careful when cutting such tiny pieces, no matter how you do it! 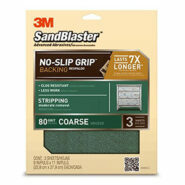 Once your pieces are cut, rub the edges with rough grit sandpaper to get rid of any burrs left by the saw. 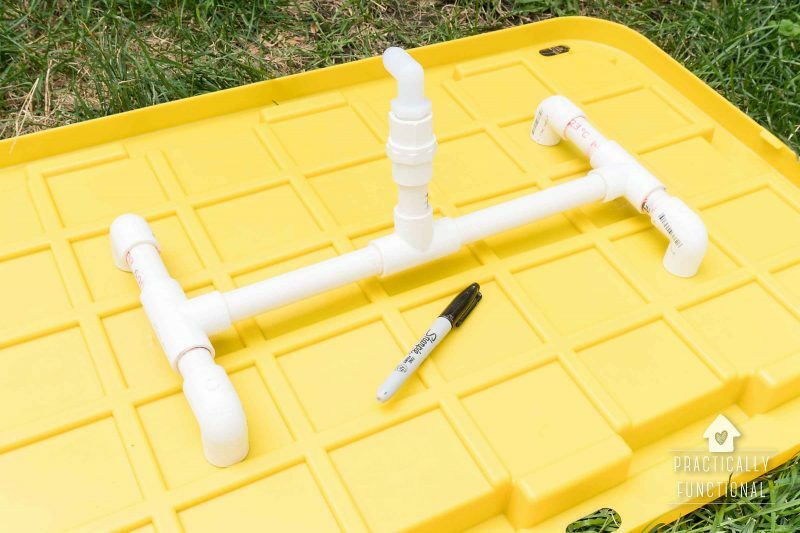 When putting your pieces together, most of the PVC pipe will be connected using PVC pipe cement, but some of it will be screwed together using the threaded male and female adapters you purchased. When gluing pieces together with cement, you’ll always be gluing the smooth half of the adapters, not the threaded portions. 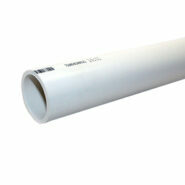 Before gluing, push the PVC pipe and adapter together to ensure they fit tightly. 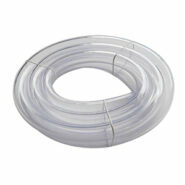 Then pull them apart and spread a thin layer of glue on both the outside of the PVC pipe and the inside of the adapter. Push the pieces together again and rotate a quarter turn while pushing to ensure a good connection. You can use a paper towel to wipe away any excess glue that squeezes out of the joint. 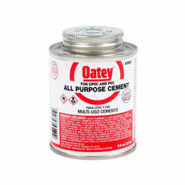 The PVC pipe cement should set pretty quickly; by the time you’ve cut your next piece of PVC pipe and are ready to connect it, the previous joint should be dry and ready to go! 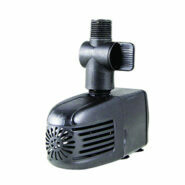 Your pump should have a small outlet where it pumps water out. On my specific pump, it’s a 1/2” threaded male connection, so to attach anything to it, you need one of the 1/2” female adapters you bought. Don’t screw the adapter on yet though! 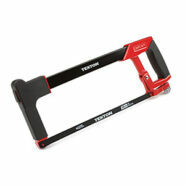 Start by cutting a 2” piece of PVC pipe. Using PVC pipe cement, attach one end of the 2” piece to a 1/2” female adapter. Then attach the other end of the 2” piece to another 1/2” female adapter. 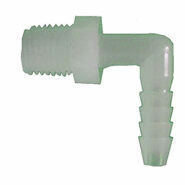 Take one of the plastic barb elbows and screw it into one end of the pipe. Now take the entire thing and screw it onto the outlet of the pump. 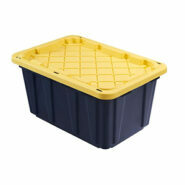 Place the entire pump piece in the bottom of the empty storage tote. 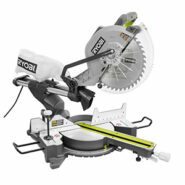 Start by cutting another 2” piece of PVC pipe. Using PVC pipe cement, attach one end of the 2” piece to a 1/2” female adapter. Then attach the other end of the 2” piece to the side outlet of one of the 1/2” tees (the outlet that sticks out at 90 degrees, not either of the two outlets that are in a straight line with each other). Take the remaining plastic barb elbow and screw it into the female adapter. Cut two 6” pieces of PVC pipe. Using PVC pipe cement, attach those two pieces to the two open outlets of the 1/2” tee from the previous step (the one in the center in the photo above). 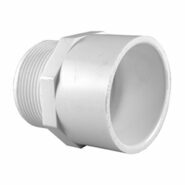 Attach the side outlet of the remaining two 1/2” tees to the open end of both 6” pieces of PVC pipe using PVC pipe cement. Make sure that these tees are oriented as shown in the photo above (i.e. parallel with the lid). Cut four pieces of PVC pipe that are 2.5” long. Attach these pieces to the four open ends of the tees using PVC pipe cement. 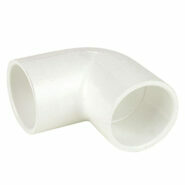 Take the four 90 degree elbows and attach one to each of the open ends of pipe using PVC pipe cement. 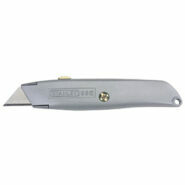 Be sure that the open end of each elbow points towards the lid (see photo for reference). 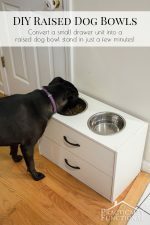 Once this piece is built, turn the lid of the storage tote upside down and center the four-way split on the underside of the lid. 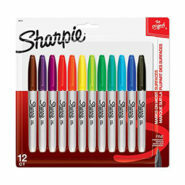 Use a Sharpie to mark where each of the four pipes touches the lid. 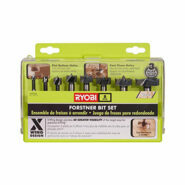 Drill holes through the lid at those four spots using the 1” forstner bit. Then drill 10-20 drainage holes into the lid using a smaller drill bit (I used a 1/8” drill bit for the drainage holes). The storage tote I used had a few raised “panels” on the lid, so I made sure to drill my drainage holes in the “gutters” between each raised panel to be sure that it was at the lowest point on the lid. If your lid is totally smooth, just space the drainage holes out wherever. These holes will allow water to drain back into the tote so that the pump can keep recirculating the water. Cut four more pieces of PVC pipe that are 2.5” long and attach these pieces to the open ends of the four elbows using PVC pipe cement. Push the four pipes through the holes in the lid from the underside. 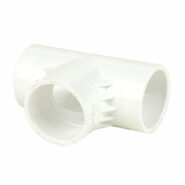 Then from the top of the lid, attach a 1/2” male adapter to each open end of pipe using PVC pipe cement. 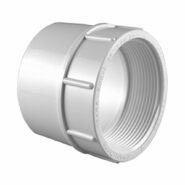 The male adapter should be too thick to slide back through the hole you drilled in the lid, permanently securing the four-way split to the lid. Cut about 4’ of flexible tubing and push one end of the tubing onto the barb in the pump piece and the other end onto the barb in the four-way split. This will allow the pump to send water to the split, but keep it all flexible enough that you can easily attach and remove the lid when needed. This is the fun and totally customizable piece of this project! Each arm is basically a piece of PVC pipe with a female adapter glued onto one end and a socket cap glued onto the other end. You should have about 7’ of pipe left to make arms, so make them whatever length you want! Or if you want to get fancy, grab an extra elbow and make an arm with a bend in it! When deciding on the layout of your arms, keep in mind that the water pressure from the pump is split into four streams. General physics tells us that if you have three arms that are a foot tall and one arm that is 4 feet tall, the water will probably just find “the easy way out” and only come out of the three short arms, rather than all four equally. Try to keep your arms all about equal height. Once you have your layout figured out, glue the pieces of your arms together. 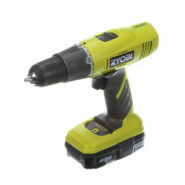 Remember that each piece needs a female adapter on one end and a socket cap on the other. There should be no open ends, so don’t use tees unless you plan to put a cap on both ends of the tee. Now comes the tricky part. You need to drill a few small holes in each arm to allow water to spray out of the arm, but you don’t want to drill too many holes, or holes that are too big or the water will just dribble out instead of spray out! Also, when drilling holes, remember that the pump only works when totally submerged in water. Rather than drilling holes around the entire pipe, drill all the holes on one side so that most of the water lands on the lid of the table and drains back into the tote. 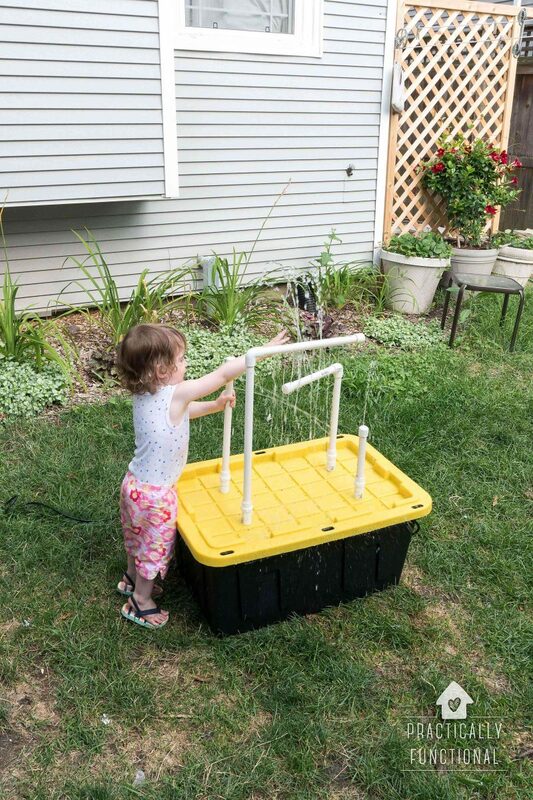 It might be fun to have water spraying every which way, but the pump will quickly run dry and you’ll have to refill the tote before you can play again. A good way to do this is drill holes in the end cap so that the holes (and the water coming out of them) point straight up. You can also make an arm with a 90 degree bend in it and then drill holes on the underside of the piece that runs parallel to the table. This will make a “wall” of water coming straight down onto the table. The best way to figure out how to drill the holes is start with a really really small drill bit (I started with a 1/16” drill bit) and drill 2-3 holes in each arm. 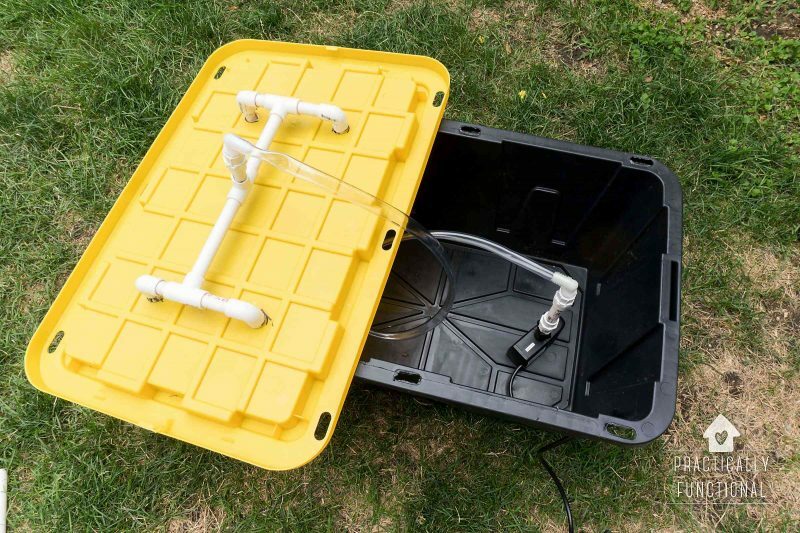 Screw the arms onto the four-way split/lid from the top, fill the tote with enough water to cover the pump, replace the lid, plug the pump in, and test it! 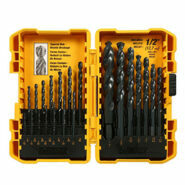 If the water sprays out of the holes and overshoots the lid by a long shot, you can either add another hole, or go back and re-drill the same holes with the next size up drill bit. Test again and see how it goes. Keep testing and adding new holes or making a few holes larger until the water pressure is right where you want it! I ended up using a 5/64” drill bit for about half of the holes in my DIY water table, and left half of them at 1/16”, but I didn’t use the 3/32” bit for any of them! Just adding one more small hole, or changing one hole from 1/16” to 5/64” actually makes a HUGE difference in the water pressure. So start with small holes, and only a few of them, and keep testing as you go. 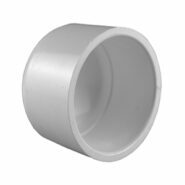 If you do end up putting too many holes or your holes are too big and you lose water pressure, I found that you can cover a few holes up with PVC pipe cement, and that helps. It’s not the prettiest looking solution, but just dab a bunch of cement over the hole and then wait about ten minutes for it to fully harden. 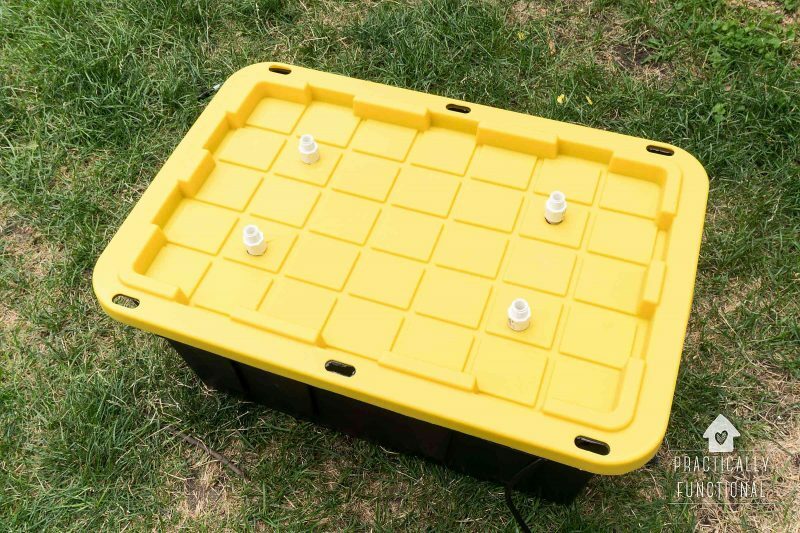 I had to close up about four holes in my DIY water table, and after about ten minutes the cement was firm enough that I could fill the tote and turn on the pump, and the cement held; the holes didn’t open up or dribble or leak at all, and the water pressure went back up. 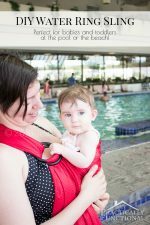 Once you have your arms where you want them, fill up the tote with water, plug the pump in, and have fun! 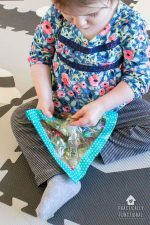 AJ loves playing with it as-is, but you can always bring out a couple of cups or scoops or funnels and let your kids play with scoops and containers in the water as well. WHAT A BRILLENT IDEA FOR SMALL CHILDREN I WISH I HAD THIS FOR MY GRAND KIDS VERY SAFE AND NOT WASTING WATER IF WE HAVE A DRY SUMMER.